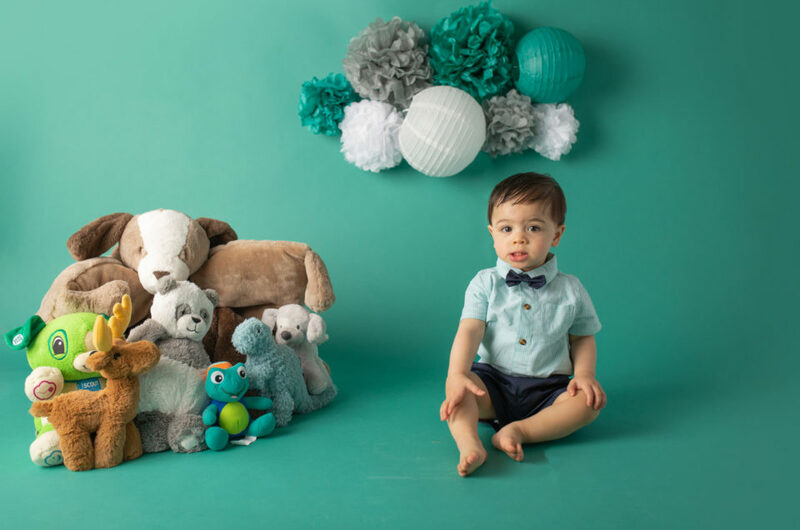 Dallas Child Photographer Laura Levitan of Mod L Photography offers beautiful fully stylized sessions including couture dresses and curated props. 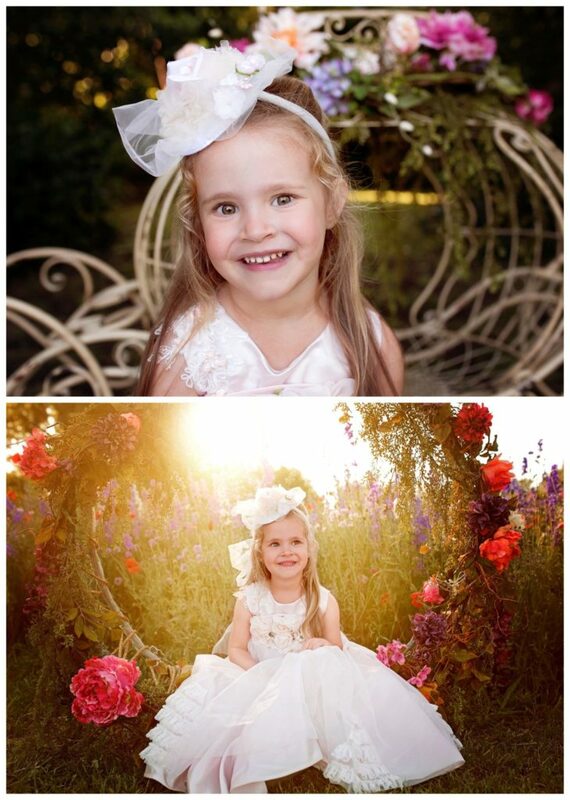 What little girl doesn’t love to dress up and have pictures taken? I had an idea to set up a few of my most magical props, get out all of my dresses, and invite a few friends. When the wildflowers are blooming and the weather is perfect it’s just the right time in Dallas to have a set of styled sessions. Each girl was invited to try out the Fairy Tale Carriage. We then moved on to the Fairy Flower Swing. And finally a Magical Tea Party among the flowers. I had a selection of gorgeous gowns to choose from. The girls had fun twirling and posing and pretending they were princesses. 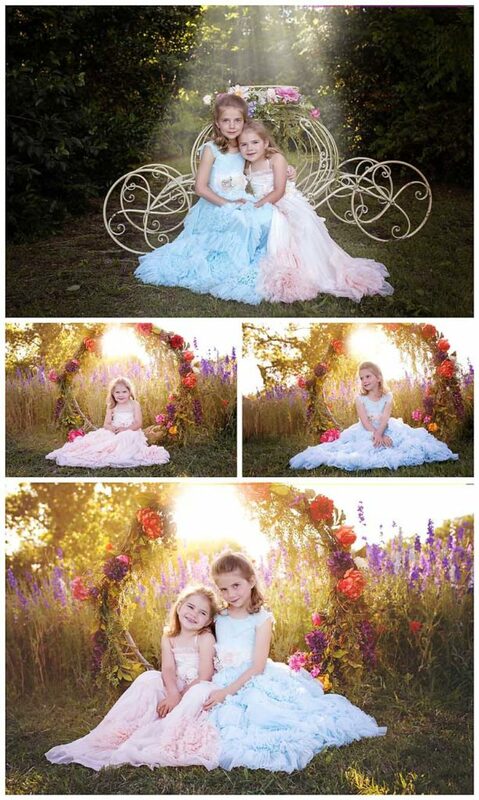 These sisters had so much fun getting dressed up together and pretending they were princesses. The Fairy tale Carriage was a huge hit! Unlike anything typically available, the Fairy Tale Carriage is truly one of a kind. Adorned with flowers, each girl either stood beside or sat in front of it. The Fairy Swing is decorated with flowers all around so that little girls can imagine fairies flying all around them. And last but not least, the tea party set has all kinds of fun pretty things to play with and imagine. At the end of the session each girl was gifted a special fairy princess cookie to say thank you for coming to play. 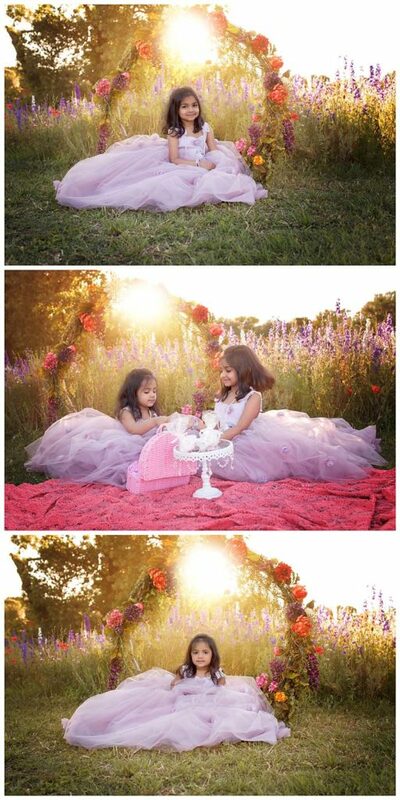 This was a fun photo shoot for a little girl to do on her own or for sisters to do together. I am already planning the next event. This time there might even be a unicorn! I love these sessions I wish I lived closer to Dallas so you could be my family photographer!!! OMG these are so beautiful!! 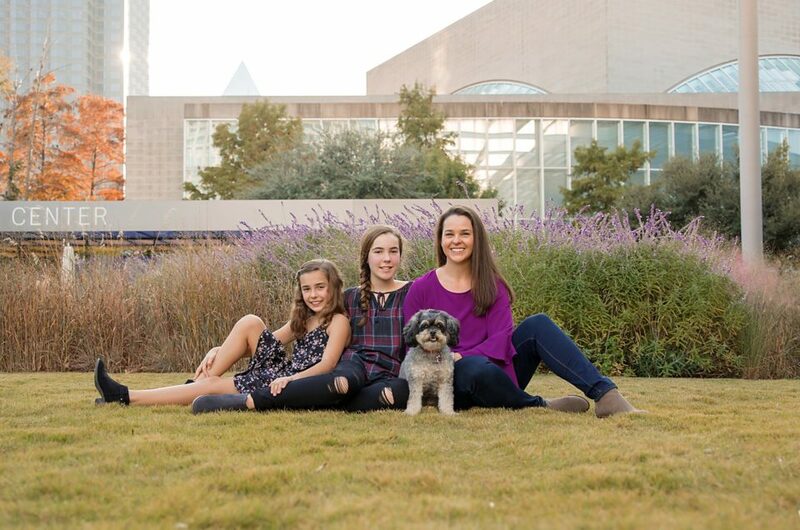 Do you do family sessions outside of Dallas? My friend and her family have been looking for a photographer who does sessions like these! These are amazing! I want a family session like this! What an amazing Dallas photographer you are!! 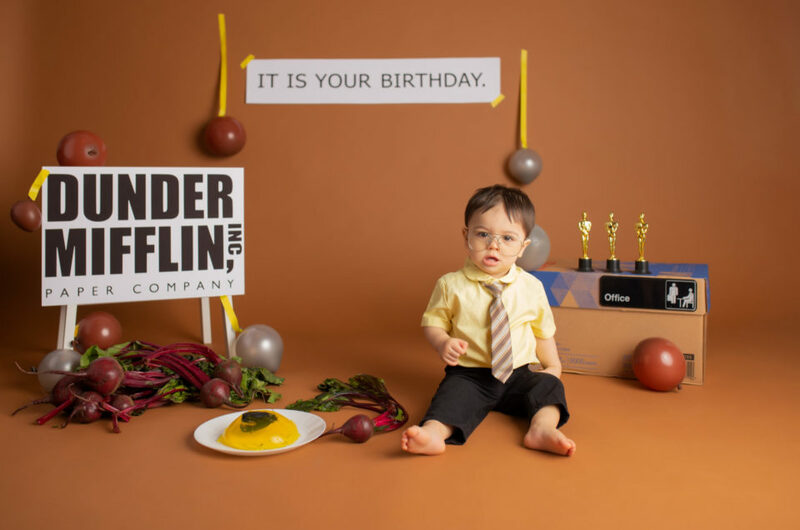 I just found you by googling Plano newborn photographer and I came across this post. I love the flowers and the beautiful golden sunshine at this setting. Would you consider photographing a newborn in this type of location, it’s so dreamy! Thank you! I don’t do a lot of outdoor newborns because here in Texas the weather can be so unpredictable. And hot! I love the controlled environment of the studio 🙂 But it would be beautiful to have a newborn portrait in these flowers. I may have to up my composite game.